"Summer travel season is in full swing and the ever changing cost of gas prices is impacting everyone. 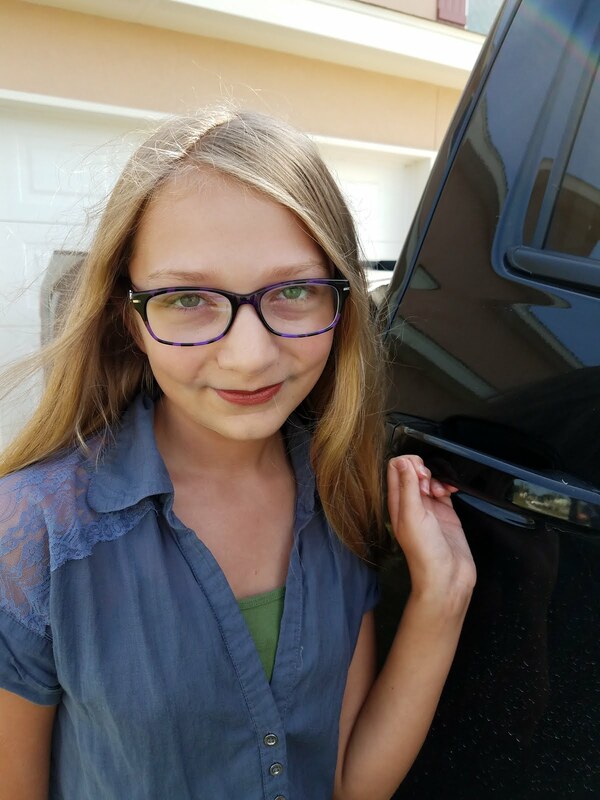 To help with the big summer shuffle between activities for your kids and family road trips, Energizer has a deal to help make a positive impact on your gas budget. We’re rewarding Energizer® Lithium customers by helping their dollars last longer. Consumers simply purchase two packs of specially-marked Energizer® Ultimate Lithium or Energizer® Advanced Lithium batteries and you will get a $10 Prepaid Discover® Gas Rewards* card mailed to you. It’s that easy. § Lightweight and perform well in extreme temperatures, from -40° F to 140° F (-40° C to 60° C). § Energizer® Ultimate Lithium batteries last up to 8x longer** in digital cameras for up to 8X less waste. § Energizer® Advanced Lithium batteries last up to 4x longer** in digital cameras, 20 hours longer** in wireless gaming accessories and up to 30% longer** in personal audio devices. ** Vs. Energizer® MAX®. Results vary by device and play and/ or usage patterns." Buy It: Find Energizer Advanced Lithium batteries at mass merchandisers nationwide! 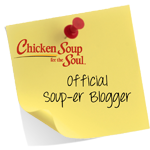 To enter, follow our blog via GFC! Is your bedroom suffering from a case of the Summertime Blues? EdenFantasys might just have the cure. From lingerie and toys to candles and romance kits, there is something for everyone and every budget at this awesome online store. What we think: Time to get out of the rut! Are you planning a summer vacation? Maybe add a little something extra to the suitcase:) Is your summer vacation more like a "staycation" this year? Send the kids to grandma's and plan a little something special to spice up date night. EdenFantasys offers a wide variety of adult toys and with the sales and discounts and clearance they are always offering, there is something in your price range:) They also have a pretty awesome online community that provides advice, reviews and information. For quality items, in a safe, discreet environment, check out EdenFantasys!! Disclosure: We received a gift card from EdenFantasys in exchange for this testimonial. All opinions expressed in this post are ours and ours alone! 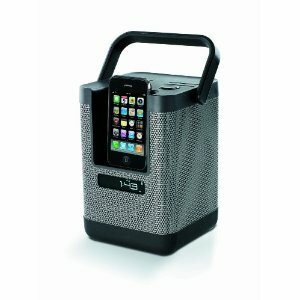 "The Memorex PartyCube speaker system is the ultimate party machine, bringing superior sound, style and functionality wherever you want to take it. Its convenient carrying handle makes it easy to set up anywhere in your home, backyard or even the beach. And its sleek, modern design looks as great as it sounds. -Includes AC adapter and rechargeable lithium-ion battery that provides 4 to 6 hours of continuous play"
What we thought: The PartyCube rocks! The multi-directional speakers really allow the music to be broadcasted throughout the whole space, whether inside or out. I love the portability of the PartyCube. We can easily take it upstairs or downstairs and because it can hold a charge for up to 4-6 hours, we can even take it to the backyard, the park or the beach. It will be great for tailgating in the fall! Another feature I love is its ability to charge the iPhone. A multi-tasker for sure! ABCD Diaries gives the PartyCube by Memorex an A+! Buy It: Find the PartyCube at Memorex! 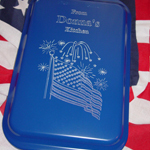 We recently had the chance to review a personalized pan from The Cake Pan Lady! "The Cake Pan Lady is a real person, and her real name is Mary Alice. And not only is she real, but she personally makes each pan that's ordered from The Cake Pan Lady! And because Mary does all the engraving work herself, each pan is given the love and attention to detail that you'd give if you were making it yourself. "The result?" you ask (and thanks for asking!) ... A pan that you can use with pride, or give as the perfect gift, knowing that you've got the highest quality pan available. All of the pans made by the cake pan lady are high-quality Nordic Ware® pans. Cakes and bars come out perfect, with golden crust and no burning. The metal lids offer baking and roasting versatility, and the natural metal interiors mean even baking every time." What we thought: I must start out by saying the turnaround time from date of order to date of delivery was pretty impressive for a product that is personalized. 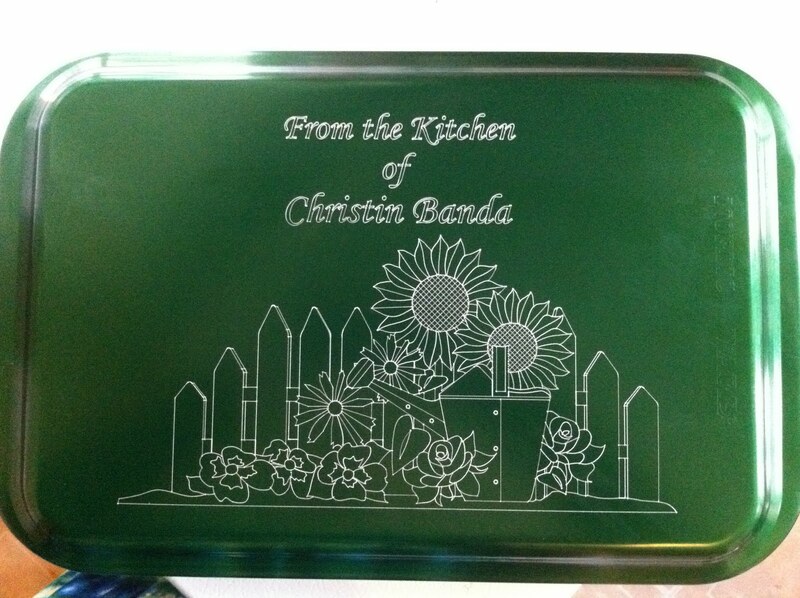 The pan itself was gorgeous...the etching was expertly done with amazing detail and I fell in love at first sight:) This pan will be great when school starts and we have to take goodies to class parties and bake sales and when the holiday potluck season comes around, we will be ready. I will never lose another cake pan thanks to The Cake Pan Lady!! When I first started taking pans to relatives houses, I often lost or forgot them and quickly learned not to take our "nice" dishes to these gatherings. For the last few years we have stocked up on cheap pans just for these occasions, but they're not always the prettiest or the highest quality when it comes to actually cooking/baking in them. Now, I can have a quality pan that is super stylish and makes its way home every time:) One of my favorite features is that my name is engraved on both the lid and the bottom of the pan, so even if they get separated or the dish doesn't require a lid, my pan is still safe! Cake Pan Lady, you are a lifesaver! ABCD Diaries gives The Cake Pan Lady an A+! Buy It: Find these fantastic pans at The Cake Pan Lady! Win It: The Cake Pan Lady has generously offered one ABCD Diaries reader a $41 Cake Pan Lady gift certificate that will be good for a 9X13 ($33) pan and shipping ($8). To enter, follow our blog via GFC and tell us which design you would choose. "It’s 1968. The prestigious but cash-strapped Goode School in the town of Cape Wilde is run by its aging, philandering headmaster, Goddard Byrd, known to both his friends and his enemies as God. With Cape Wilde engulfed by the social and political storms of integration, coeducation and the sexual revolution, God has confidently promised coeducation “over my dead body.” And then, through a clerical error, the Goode School admits its first female student: Carole Faust, a brilliant, intractable fifteen-year-old black girl. What does it mean to be the First Girl?" What we thought: This book covers a lot of ground...from social class to sexism and women's lib...the time in which most of the story takes place was a hotbed of controversy. This book tells the story from several points of view which gives the reader a fuller understanding of the whole story rather than just one characters point of view. The fact that Cooke carries through the rest of the story is nice as the reader gets to find out how each character's life pans out. This was a quick and pleasurable read. 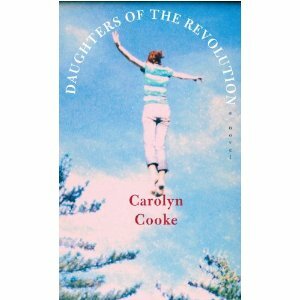 ABCD Diaries gives "Daughters of the Revolution" by Carolyn Cooke an A! Buy It: Find "Daughters of the Revolution" at your favorite bookstore! 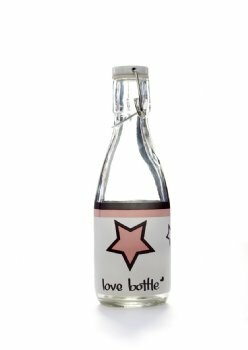 We recently had the chance to review a bottle from Love Bottle! 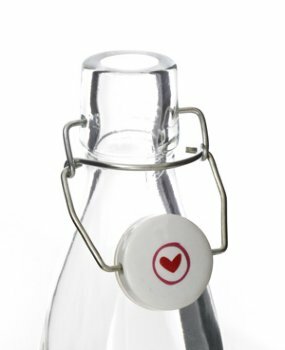 "Love bottle is a reusable glass water bottle made partially from recycled glass. 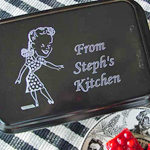 It has a ceramic swing top lid that creates a water-tight seal. The glass water bottle that’s good for the planet and good for you! Did you know that words and pictures have energy and water is affected by that energy? Love bottle lets you write or draw whatever you want on your bottle. If you feel good when you look at your bottle, you’ll feel great drinking from it. What we thought: What a fun twist on the reusable glass bottle! There are so many cute designs in the Love Bottle gallery, it is hard to pick just one favorite:) I love the throwback ceramic swing top with the wire clamp that provides a water-tight seal...very cool! We haven't decided what to write on our bottle yet which is fine because it is just beautiful as it is! Love Bottle gave us a way to reduce our carbon footprint and remain stylish with this gorgeous and fun bottle:) ABCD Diaries gives Love Bottle an A+! 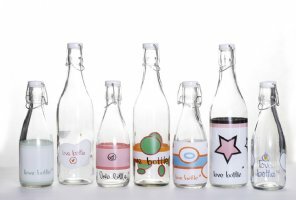 Buy It: Find these wonderful bottles at Love Bottle! Disclosure: ABCD Diaries was given a love bottle for review purposes only. We were in no other way compensated. The opinions expressed in this post are ours and ours alone. "In preparation for the 4th of July, one of the year’s busiest grilling weekends, grill masters everywhere will be looking for expert tips and advice to make their BBQ a hit. Renowned chef and grilling extraordinaire Emeril Lagasse will be answering burning grilling questions live on Facebook during Emeril’s Grilling Survival Hotline on Wednesday, June 29 from 3:00-4:00pm EST. For anyone who has ever wanted to ask Emeril his favorite barbecue sauce for grilling, tips on how to cook the best burger or even advice on how to properly prepare a grill, now’s the time!" SOCK-A-DELIC CD & THEIR FIRST DVD! 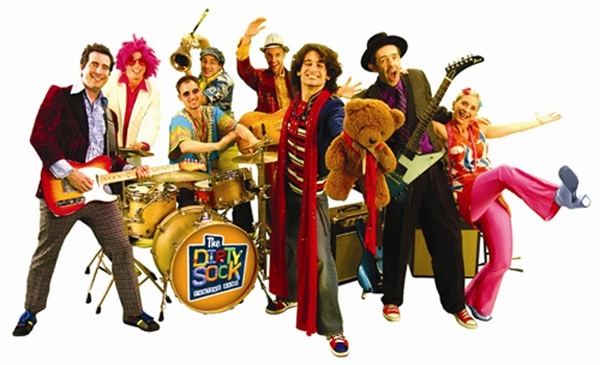 Beloved by millions of families for their high-energy music videos on the Nick Jr. channel’s Jack’s Big Music Show, The Dirty Sock Funtime Band’s Sock-A-Delic CD and The Dirty Sock Funtime Band DVD showcase the band’s “We show kids that they rock” spirit. 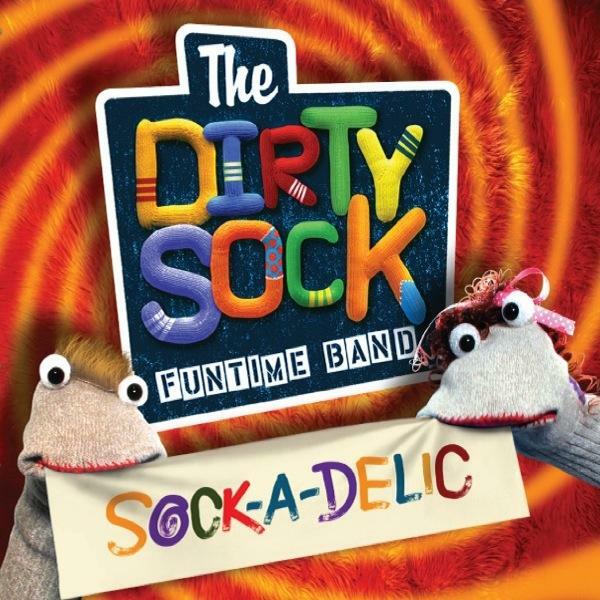 The outrageous popularity of The Dirty Sock Funtime Band is easy to understand from a kids’ point of view, for their shows are interactive spectacles involving rock band, dancers, comedy, and costumes. The band’s six-to-eight members really know how to fill the stage with action: it’s better than a three-ring circus. Each member has his or her own role to play and distinctive personality to project, but they all come together like clockwork. And what a sound! Their music is polyphonic to the max with melodic lines and supercharged rhythms weaving in and out like a great Dixieland band with everyone wailing on the final chorus. The action onstage is as fascinating as a perfectly timed basketball team. The stunning impact of this stage energy is balanced by the cleverness of the compositions and the smartness of lyrics that offer large words and large ideas, all seasoned with the band’s own brand of belly laugh comedy. The singing, the comedy, the playing, the dancing … it all fits together into one big kaleidoscopic thrill." What we thought: OMGosh!! Rarely do I start a review that way, but really...this has been on of the most fun CD/DVD reviews the kiddos have had:) They have requested to watch and/or listen to this combo set nearly every day since it arrived 2 weeks ago! That is pretty impressive. The band really is a sight to see...they are super high-energy, which of course they kids LOVE and their songs are funny and catchy and off-the-wall...a fantastic combination for engaging the formative minds of young children. This DVD/CD combo is highly entertaining and addictive. 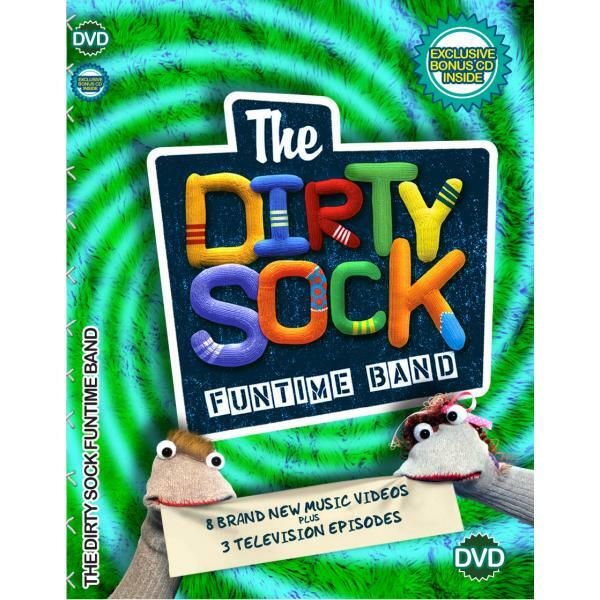 I promise, your little ones will love it and you will have the songs pleasantly stuck in your head all day:) ABCD Diaries gives the DVD and CD from The Dirty Sock Funtime Band an A+! Buy It: Find both the CD and DVD on the band's website and download a free summertime track while you're there! Disclosure: ABCD Diaries was given a DVD/CD combo for review purposes only. We were in no other way compensated. The opinions expressed in this post are ours and ours alone. Thanks to BabyGanics, we recently got to try a safe, natural foaming hand soap and all-purpose cleaner. Fine and Handy™-"Hand washing not high on your ‘family fun activities' list? Get the gang together for a foamy giggle-fest! This non-toxic formula cleans, moisturizes and promises endless seconds of safe hilarity. (Maybe we don't get out enough?)" The Grime Fighter™-"The Grime Fighter hunts dirt where it lives (and where your babies live too! ): high chair, changing table, crib, sealed wood floors, marble counter tops - bring it on! Tough stuff but a softie around the babes! So useful around the house you'll want to strap it to your belt! (Or is that just us?)" What we thought- I love knowing the cleaners we use around our home are not only safe and natural, but effective. BabyGanics products have all those bases covered. The foaming hand soap made handwashing fun for the kiddos, which in turn made them scrub longer, getting rid of even more germs! The all-purpose spray was easy to use and really great on stubborn stickiness. Not to mention it works on pretty much any surface! ABCD Diaries gives BabyGanics an A+! 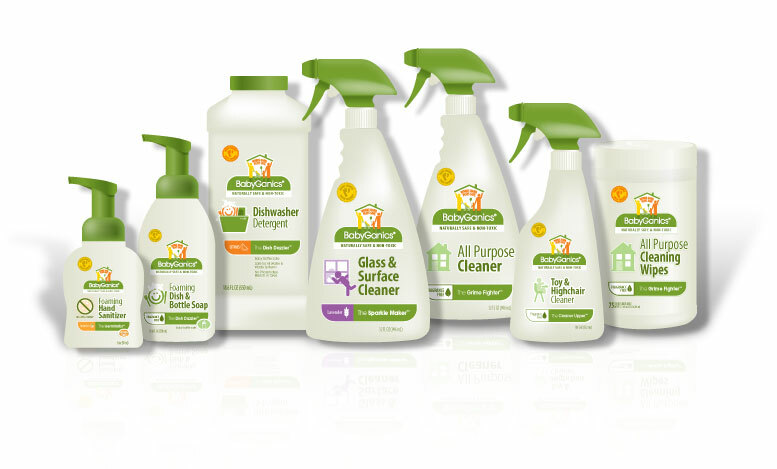 Buy It: Find these wonderfully safe products at BabyGanics! Disclosure: ABCD Diaries was given two products for review purposes only. We were in no other way compensated. The opinions expressed in this post are ours and ours alone. We recently go to try out two awesome products from Body Verde. "This rich, moisturizing creme soothes chronic skin conditions in seconds. The antiseptic properties of tea tree and the antioxidant/anti-inflammatory properties of green tea and aloe vera make this a multi-purpose creme. 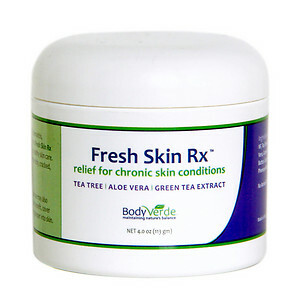 Among many practical uses, Fresh Skin Rx effectively relieves eczema, fungal infections, itchy bug bites, sunburn, poison ivy and rashes from allergic reactions." Nature's first aid and skin repair. Miracle Skin Renew Serum is made from 16 of nature's most skin-friendly plant extracts. The ingredients help accelerate your body's ability to heal itself and generate new skin cell growth. Serum is rich with antioxidants known to help renew working hands, reduce under eye wrinkles, and provide quick repair and healing therapy to damaged skin." What we thought: We found both our Body Verde products to be extremely useful! The Fresh Skin Rx moisturized and smoothed my dry cracked heels which were in pretty bad shape thanks to all the time we've spent at the beach this summer. The difference was noticeable after the first application and continued to improve each time I applied it. 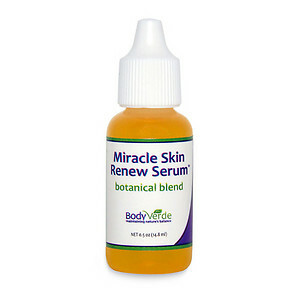 The Miracle Skin Renew Serum was an amazing all-in-one helper:) It instantly took the burn out of a sunburn an immediately relieved the itch from the kiddos mosquito bites. I love that they are safe and naturally derived from botanical extracts. These are both must-have products for our summer medicine cabinet...I bet they'll be great for dry, wind-chapped skin in the winter as well! ABCD Diaries gives Body Verde an A+! Buy It: Find these wonderful products at Body Verde! Win It: Body Verde has generously offered one ABCD Diaries reader winner's choice of either the Fresh Skin Rx or the Miracle Skin Renew Serum! To enter, follow our blog via GFC and tell us which you would choose. 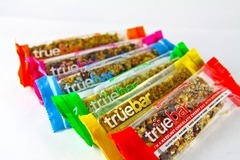 We recently had the opportunity to review the newest addition to the Bakery On Main family...TrueBars! 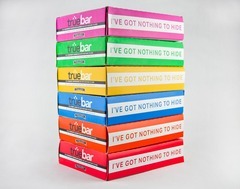 "Bakery On Main introduces Truebar, a new line of fruit and nut bars with simple, wholesome ingredients and nothing to hide. Truebar is a good source fiber and Omega 3, made with many low-GI ingredients, non-GMO, dairy and casein free, low sodium with no transfats or cholesterol and certified gluten free and Kosher Parve. Available in Coconut Cashew, Apricot Almond Chai, Walnut Cappuccino, Fruit & Nut, Hazelnut Chocolate Cherry and Raspberry Chocolate Almond." What we thought: These bars were super tasty. The variety is pretty impressive with a perfectly paired flavor combination for every palette:) I loved the big pieces of easily recognizable fruit and nuts in every bar. The whole ABCD clan enjoyed this yummy bars. True to Bakery On Main's nature, this newest addition to their product line is fabulous and we definitely recommend trying them:) ABCD Diaries gives Bakery On Main TrueBars an A+!! Buy It: Find these yummy bars at Bakery On Main! Win It: Bakery On Main has generously offered one ABCD Diaries reader a sleeve of 12 TrueBars in your choice of flavor! To enter, follow our blog via GFC and tell us which flavor you would choose. Disclosure: ABCD Diaries was given a sampler of TrueBars for review purposes only. We were in no other way compensated. The opinions expressed in this post are ours and ours alone. We recently got to review the newest VeggieTales DVD, VeggieTales Live! Sing Yourself Silly. "VeggieTales Live! Sing Yourself Silly showcases 18 of the most classic and popular VeggieTales songs performed live on stage including “His Cheeseburger,” “Love My Lips!,” “The Hairbrush Song,” plus a few hits from the 80’s that both parents and kids will enjoy. There are also several fun and family-friendly bonus features included such as a peek behind the curtain on “Larry’s Backstage Pass.” You can watch the DVD’s trailer here for a sneak peak: http://www.youtube.com/watch?v=3TSoEYkMnAQ"
"Gourds Just Wanna Have Fun"
"The Pirates Who Don’t Do Anything"
"I Can Be Your Friend"
Larry’s Backstage Pass – Behind the scenes of VeggieTales Live! What we thought: This was a really fun DVD. The kids have seen the cartoon version of Silly Songs, but the live version was pretty awesome:) The larger than life characters are hilarious and it was fun to see the audience interact with them in this DVD. The bonus features were super cool too. The songs are as funny as ever and the lessons just as prevalent as always, making a really fun, Christian-based DVD that our kiddos just adored! 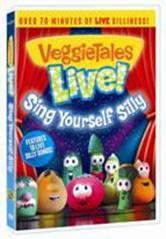 ABCD Diaries gives VeggieTales Sing Yourself Silly Live! an A+! Buy It: Find this rockin' DVD at your favorite book or video store or amazon.com! Win It: One ABCD Diaries reader will win a copy of VeggieTales Live! Sing Yourself Silly! To enter, follow our blog via GFC. Disclosure: ABCD Diaries was given a copy of this DVD for review purposes only. We were in no other way compensated. The opinions expressed in this post are ours and ours alone. Congrats to Courtney B, ReggieMann, Viva, Atreau, and TawndaM! We recently had the chance to review a cute new series for 3-6 year olds, Wisharoo Park. "An adorably engaging, exciting, entertaining and educational Wisharoo Park is dedicated to promoting positive self-image and self-esteem in preschool age children that is sure to capture the hearts, minds and imaginations of young kids aged three to six years old. It was originally introduced on air as a children’s television series on PBS stations across the country with a loving embarrass by its audience and met with great critical praise and accolades for its positive messaging, production quality and superb music and story lines. It is now rolling out as a dynamic multimedia program which includes the interactive website, WisharooPark.com, DVDs, apps for mobile media devices, and much, much, much more! Unique among preschool programs, Wisharoo Park is designed to help children age 3 – 6 recognize and appreciate their individuality. With its groundbreaking technology-based curriculum, Wisharoo Park helps children discover and understand their personal strengths and put them on the road to developing greater self-esteem. The Wisharoopark.com enchanting online community stars a whimsical cast of loveable animated, puppet and human characters who are featured in games, videos, music and more! 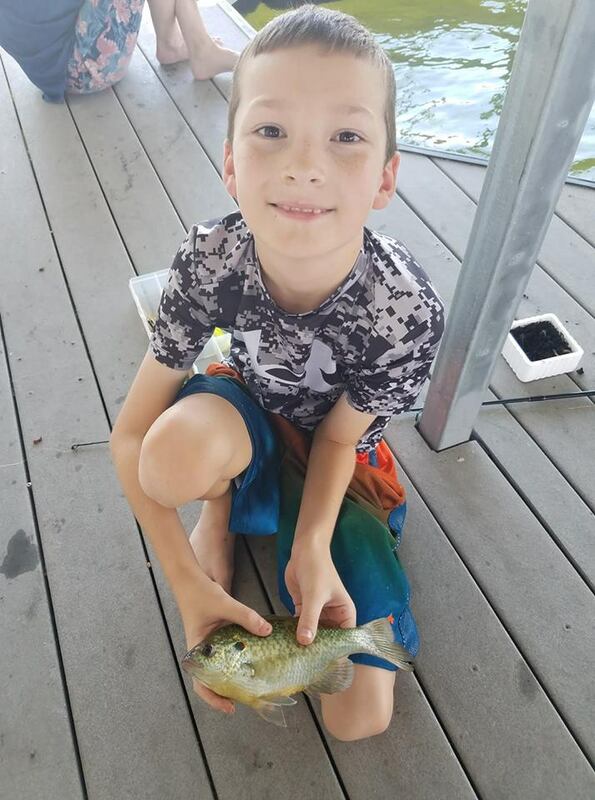 Each week exciting new activities and content are added that are sure to keep parents and their kids coming back again and again." What we thought: Our 5 and 2 year old really enjoyed watching Wisharoo Park. I loved the lessons the adorable characters teach. Each story teaches an important lesson in fun and engaging ways that really get the kids involved and learning. The characters are colorful, fun and gentle. The finger puppets are an added bonus that were a lot of fun. ABCD Diaries gives Wisharoo Park an A+! 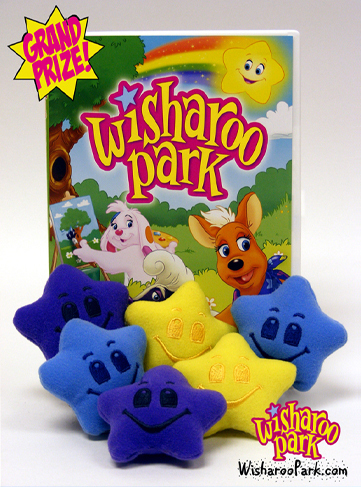 Buy It: Find these wonderful new friends for you little one at Wisharoo Park! Win It: Wisharoo Park has generously offered five ABCD Diaries readers Wisharoo Park prizes! 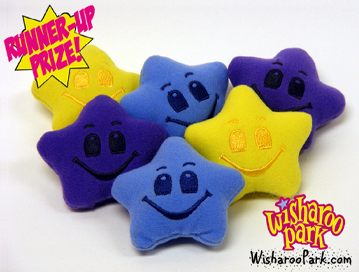 Two readers will win Grand Prizes consisting of the 2-disc Wisharoo Park DVD and six Wish Star finger puppets (a $40 value each) and three readers will win Runner-up prizes consisting of six Wish Star finger puppets ($20 value each) To enter, follow our blog via GFC and comment below. Disclosure: ABCD Diaries was given Wisharoo Park goodies for review purposes only. We were in no other way compensated. The opinions expressed in this post are ours and ours alone. Congrats to Snowflake Day and Sherry! 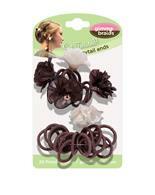 We recently had the chance to review a variety of hair accessories from Gimme Clips! "Gimme Clips was started in 2008 by M. Ricks, a St. Louis mom of 3 little girls who purchased silk flowers at her local craft store and created a series of clips and bows to the delight of her little ones. Gimme Clips, tag line is "Decorate Your Life" and we love delivering product that brings self-confidence and a big smile to the faces of little girls." What we thought: Our Gimme Clips were a lot of fun. We loved the variety of colors and styling options. All of our accessories were really well-made and super easy to use. 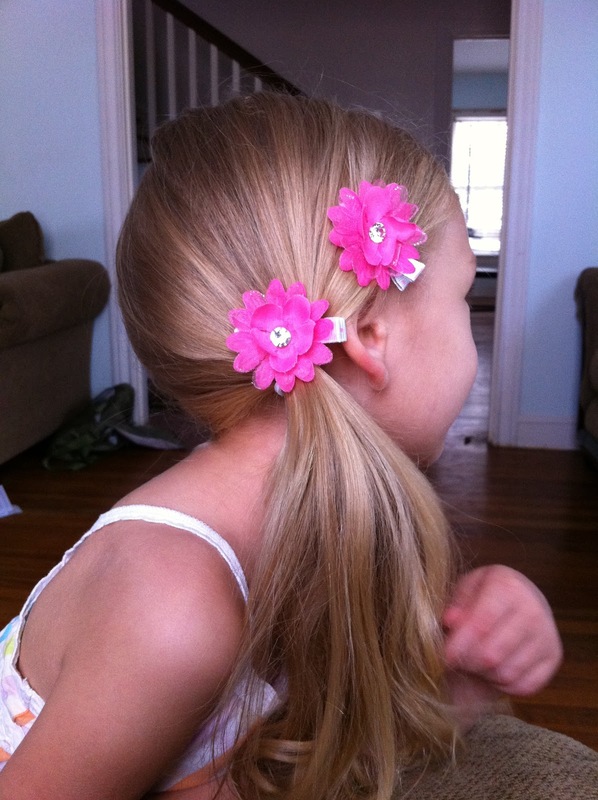 Gimme Clips are an easy, affordable way to add style to your hair or your daughter's hair. These accessories work for both girls and women and I loved that I could share these with 5 year old A and not look completely ridiculous, but super stylish and chic:) The larger flowers pins were great because they came with both clip and pin options...one day you could wear it in your hair, the next it could dress up a blouse...dual use means moneysaver! ABCD Diaries gives Gimme Clips accessories an A+!! Buy It: Gimme Clips are available at Walgreeen's stores nationwide and at http://www.target.com/ The Gimme Braids display will be in select Walgreen's stores starting June 15. 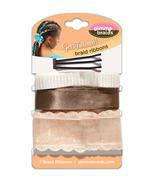 Win It: Gimme Clips has generously offered two ABCD Diaries reader a prize package of hair accessories valued at $25! To enter, follow our blog via GFC and "Like" Gimme Clips on Facebook. Disclosure: ABCD Diaries was given a box of Gimme Clip goodies for review purposes only. We were in no other way compensated. The opinions expressed in this post are ours and ours alone. 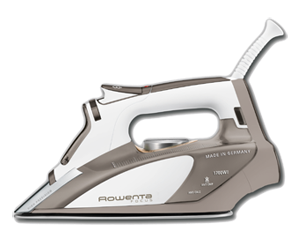 Rowenta Focus Iron, $100 Value! Thompson's Water Seal Cleaner and Waterproofer Package, $120 Value!! World Deluxe Membership to Ancestry.com, $299 Value!! Package of 4 Awesome Prizes from Educational Insights, $120 Value!! 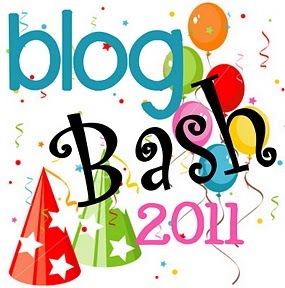 Blog Bash Giveaway 4: Educational Insights Prize Pack!! $125 ARV!! "Educational Insights is a leading manufacturer of learning toys and innovative, hands-on educational materials for classrooms worldwide. For nearly 50 years, Educational Insights has been a trusted source for teachers and parents for quality, award-winning educational products in math, science, social studies, language, language arts, reading, early childhood, Spanish, ELL, ESL teaching and classroom management." 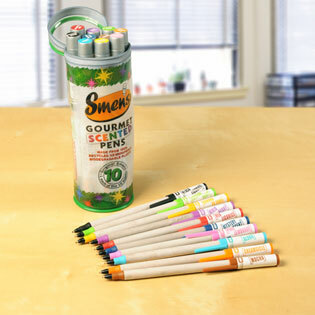 The latest release from the best-selling manufacturer of Smencils®, Smens® are gourmet scented pens made from recycled newspapers. Available scents include Red Licorice, Creamsicle, Aloha, Mystery Scent, Banana FoFana, Mocha, Passion Fruit, Ninja Berry, Pink Lemonade, and Black Licorice. Each Smen is individually wrapped in a stay-fresh biodegradable plastic tube and is guaranteed to keep its scent for two years." 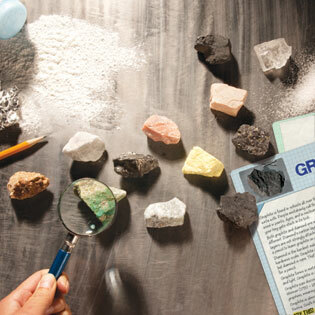 Identify various rocks and minerals and correlate them to their real-life uses with this hands-on rock and card set. Each double-sided card features a photo of a rock in the set, pictures of the way it is used in everyday life, and fun, kid-friendly facts." "A visual way to present fractions or parts of a whole! It’s a race to “1” with this four-player fraction game! 4. The player who gets closest to 1 wins the round!" "Explore images up to 400x their original size with Tuff Scope! This two-in-one microscope is perfect for classroom projects or magnification on the go! 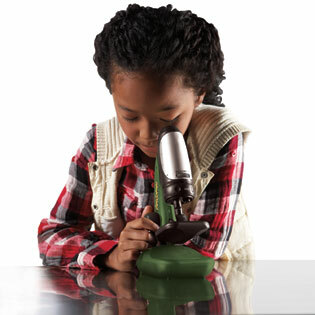 Simply set up as a classroom station or remove the microscope from the base and send kids outdoors to explore. When used with the GeoSafari® Tuff Cam digital video camera, GeoSafari® Tuff Scope transforms into a digital microscope, projecting magnified images onto a computer screen or projector. Also features 2x continuous optical zoom, transmissive and reflective LED lighting, and a storage drawer." What we thought: As always, we were not disappointed with this selection of goodies from Educational Insights. The Smens made writing and drawing fun and the variety of smells was great. We've had ours for a few weeks now and they still smell as strong as the day we got them. Its also pretty cool that they are so Earth-friendly! 5 year old A really loved the Everyday Uses Rock and Card set. The cards are full of useful information that she could understand and she loved "testing" the rocks to identify them:) Fraction Formula was awesome and even though my kiddos are pretty young (5 and 2) it was a fun way to introduce the concept of fractions to them. This game would be great for kiddos 8-11. The GeoSafari Tuffscope was great for both kiddos, but especially 2 year old Danny who really enjoyed testing it's durability:) Fortunately, the Tuffscope is really well-constructed and perfect for introducing magnification to little ones. A really enjoyed finding things around the house to "investigate" under the scope. 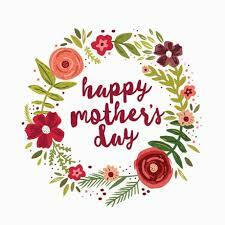 As a mom and former teacher, I give my seal of approval for all of these awesome products! ABCD Diaries gives Educational Insights a much deserved A+!! 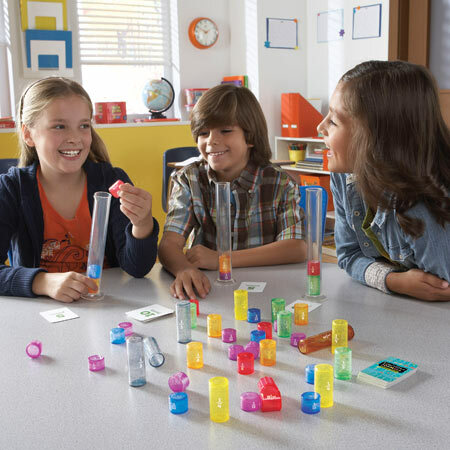 Buy It: Find these awesome learning games and supplies at Educational Insights! Win It: Educational Insights has generously offered one ABCD Diaries reader a prize package including one of each of the 4 items we reviewed! To enter, follow our blog via GFC and "Like" Educational Insights on Facebook. Disclosure: ABCD Diaries was given these games for review purposes only. We were in no other way compensated. The opinions expressed in this post are ours and ours alone. Blog Bash Giveaway 3: Ancestry.com World Membership!! $299 ARV! 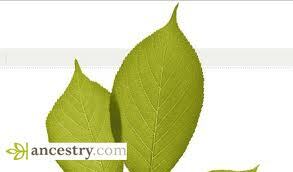 "Ancestry.com® is the world’s largest online family history resource with 1.6 million subscribers. More than 6 billion records have been added to the site over the past 15 years. With a smart search technology, a wealth of learning resources and a worldwide community of family history enthusiasts, Ancestry.com can help you discover your roots and tell your unique family story. Ancestry.com has websites directed at nine countries." Ancestry.com is offering a year long membership at the World Deluxe level, valued at $299 for their giveaway prize!! Buy It: Find your family at Ancestry.com! the free 14-day trial that anyone can use in order to get a taste of what Ancestry.com can offer. 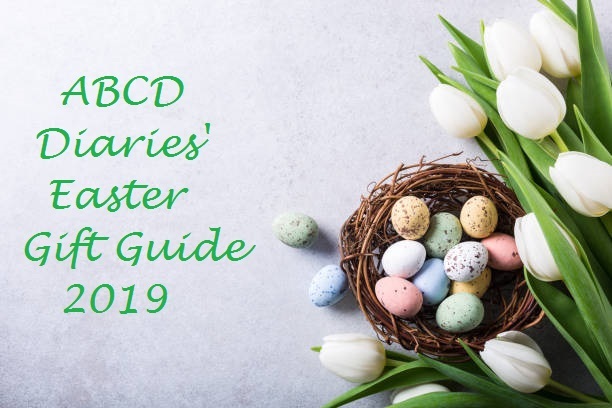 Win It: One ABCD Diaries reader will win a year long membership at the World Deluxe level, valued at $299! To enter, follow our blog via GFC. Disclosure: ABCD Diaries was in no way compensated for this promotion. The opinions expressed in this post are ours and ours alone. Blog Bash Giveaway 2: Thompson's Water Seal Deck Kit!! $120 ARV!! 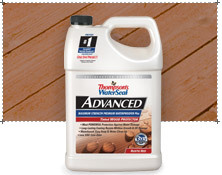 "Thompson's Water Seal offers a complete line of cleaners to remove a variety of contaminants from wood, concrete, and other surfaces. All surfaces should be cleaned before sealing, staining or painting for the best penetration and performance of a coating. 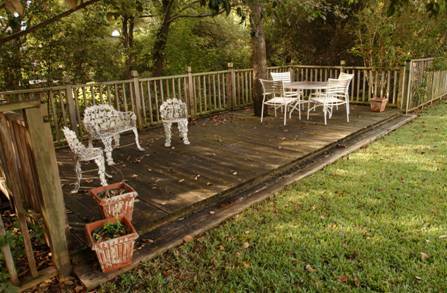 Even new wood can have dirt or other invisible barriers to coating penetration." This prize package includes a case of 4 bottles of cleaner and a case of 4 gallons of waterproofer in your choice of color. 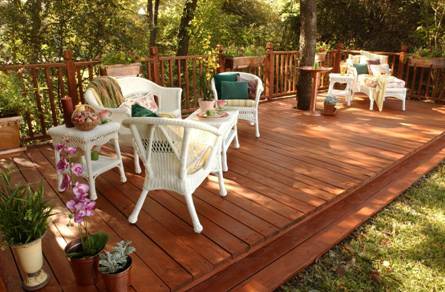 "Adds beautiful sheer color to wood in a maximum-strength, patented waterproofing formula. Available in four wood tones, each with a coating that resists mildew and UV damage." "Removes dirt, mildew, algae and fungus stains. It is an effective, oxygen powered cleaner concentrate that is biodegradable and gentler on wood than a chlorine bleach based formula." 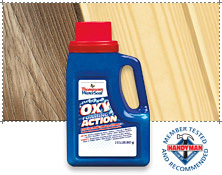 What we thought: Both products were easy to use and produced miraculous results on our old weathered deck. Our results looked very professional even with an amateur like myself applying the tinted stain:) We haven't had rain in months (that's South Texas for ya:) but we sprayed the deck with the hose and the water beaded and ran off easily. I can't wait to see the long term results...we are already VERY happy with our Thompson's products:) ABCD Diaries gives Thompson's Water Seal OXY Action cleaner and Tinted Waterproofer an A+! Buy It: Find these awesome products at Thompson's Water Seal! Win It: Thompson's Water Seal has generously offered one ABCD Diaries reader a case of 4 bottles of cleaner and a case of 4 gallons of waterproofer in your choice of color! Disclosure: ABCD Diaries was given cleaner and waterproofer for review purposes only. We were in no other way compensated. The opinions expressed in this post are ours and ours alone.